Dr Jane Mabey Gilsenan has a research background in bioinformatics, specialising in fungal genome annotation and data management. Working with Prof David Denning and Dr Paul Bowyer at the University Hospital of South Manchester for 12 years, she was involved in several projects that aimed to better understand pathogenic fungi. Her main contribution during this period was establishing and maintaining two on-line resources for Aspergillus genomes – CADRE and AsperCyc. 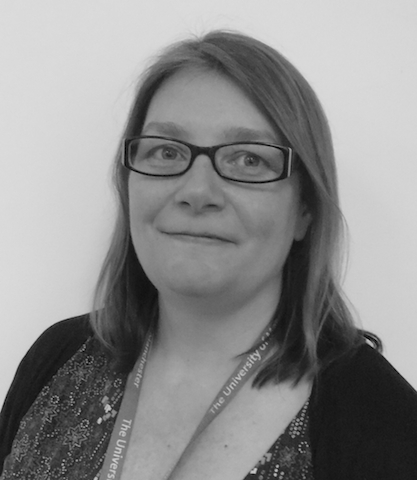 From 2013 to 2016, Jane worked within the Manchester Fungal Infection Group with the dual role of Project Manager and Research Associate. In this role, she managed and contributed to research on the EC FP7 ‘Novel antifungals to treat resistant organisms’ (NOFUN) project coordinated by Dr Michael Bromley. Jane joined the Nanomedicine Lab in September 2016 until January 2018 as the project manager, with part of her time covering management of the EPSRC 2D-Health project. In February 2018, she joined the Takano group in the School of Chemistry as project manager for the EC H2020 TOPCAPI project.